Intel this week named Michael Mayberry its new Chief Technology Officer effective immediately. The new CTO will be responsible for Intel’s global research and technology development efforts. In addition, the company confirmed establishment of its Product Assurance & Security Group (PASG) and appointed a new human resource officer. 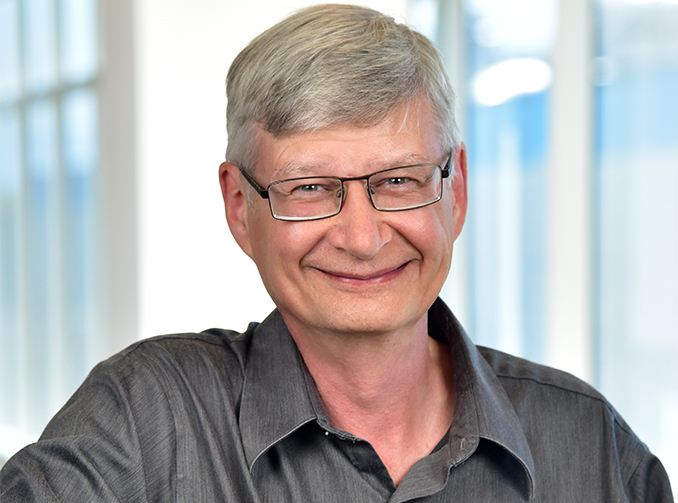 As CTO, Dr. Michael Mayberry will lead Intel’s research efforts in computing and communications. In addition, he will keep his position of the managing director of Intel Labs, an organization that cooperates with and sponsors various researchers around the world. At present, Intel Labs lists quantum computing, neuromorphic computing and semiconductor research among its key areas of interests, so the range of technologies that Dr. Mayberry will oversee at Intel and Intel Labs will be quite broad. It is also noteworthy that Dr. Mayberry has an extensive expertise in chip production technologies and was at the helm of Intel’s Components Research from 2005 to present day. As the head of Components Research, he was responsible for finding viable materials for Intel’s future process technologies. Dr. Mayberry holds a Ph.D. in physical chemistry and a bachelor’s degree in chemistry and mathematics. Being a very large corporation, Intel has many executives who oversee development of various technologies and programs — there are different people responsible for CPU and GPU architectures, platforms, storage technologies, comms, manufacturing processes and so on. Meanwhile, the position of CTO at Intel is something so broad that it can barely be described more or less precisely. In fact, Dr. Mayberry will be the third CTO in Intel’s history after Pat Gelsinger and Justin Rattner. After the former resigned from the position in mid-2013, it remained vacant for nearly half of a decade. Apparently, Intel now wants to bring the position back, possibly in an effort to prioritize its global research efforts on a general level. In the last 18 months, Intel made a number of important strategic decisions, including withdrawal from mobile SoC business and return to discrete GPU business. Perhaps, it is time for someone to connect the dots at Intel for a longer term run, hence, the appointment of a CTO. Given how sophisticated today’s manufacturing of semiconductors is, Dr. Mayberry’s experience with materials and chemistry will be particularly useful. In addition to naming the new CTO, Intel confirmed formation of the Product Assurance & Security Group. The PASG will be led by Leslie Culbertson, who has been with Intel since 1979 and most recently she served as senior vice president and director of human resources. The main task of the PASG will be Intel’s “cross-company efforts to continuously improve product security,” but Intel did not elaborate any further. Meanwhile, Matthew M. Smith will be Intel’s new chief human resource officer. Last but not least Intel promoted Dr. Ann B. Kelleher, the head of the company’s Technology Manufacturing Group, to senior vice president rank. Her responsibilities remain the same: strategic planning of Intel’s worldwide manufacturing operations, supply chain management, quality assurance and so on. "including withdrawal from mobile SoC business and return to discrete GPU business"
1. Intel has not complete remove them from mobile Soc business - it actually depends on what you can Mobile Soc business means - Atom based phones yes - mobile laptop and tablet CPU - are you kidding - this is likely there primary business. So I would not call this return to Discrete GPU. To me this sounds like something new is coming down the pipe, likely they are quite concern over both NVidia and AMD in graphics arena. It possible that Intel will used Raju in high performance area, but it sounds logical with combination of Kaby Lake G units - not really CPU and also Raju's Apple connection that Raju is going to be used for some mainstream GPU enhancements. I don't think the Larrabee and certainly not Xeon Phi was every intended as GPU. The following link states that it not was going to release as GPU - but external performance computing device like Tesla. Larrabee was intended to do graphics card work. The ROPs are still on the x100 series die for example. In fact, it was rumored that Intel got the contract for the PS4 and had to abandon it when they couldn't get the software stack for Larrabee as a GPU in order. Outside of the PS4, Larrabee was supposed to be the GPU going into Sky Lake. It didn't make it due to its power consumption for mobile parts. The theoretical peak performance was supposed to be fine but again, depended heavily on Intel getting the software side right. I had Larabee in my hands. It actually could run Crysis Warhead, at quite a bit resolution, but there were artifacts. VPG couldn't fix it before they axed the project, that's one - and second, it wasn't even close in terms of performance to then-flagships, much less products it would compete with after release. And while it's rarer than unicorn's fart, they have Valley Vista accelerator. "After the former resigned from the position in mid-2013, it remained vacant for nearly half of a decade."